It's a universal desire to want to be liked. Maybe because we're a social species, but there's just this feeling about us that makes us want to be accepted and liked by our peers. Even sometimes when we say to ourselves that we don't care whether or not our peers like us, there's a small part inside of you that is still eager to be accepted. And I'll admit it, I like to be liked. I don't like when other people don't like me. I know that I'm obviously not perfect, but I still have tons of great qualities that I feel like other people like in a person. But as a teenager, sometimes it feels like no one likes you, like maybe they don't value you as much as someone else (like a non-committal friendship) and honestly, it kind of hurts. So how can you get over this feeling? In the day and age of social media, it's all about being liked. Whether it means that your Instagram photo gets 100 likes instead of 90 or it means having 200 Facebook friends instead of 150, I think that we're constantly surrounded by numbers. The number of people that like us. Sarah has 1,000 followers. I only have 200. Everyone likes her. That's the mistake that we often make, mistaking numbers for true friendship. I feel like in the age of social media, the need to be liked has become amplified. Suddenly, it's so much more obvious who has more "friends", who is more "liked", and who is "better" than us. It's no longer just about spending time with your friends, but it's also about the public appearance of friendship. The public appearance of popularity and being liked. It constantly feels like no one likes you, like just because you don't have as many friends constantly surrounding you, it means that you have no one. But that isn't true. The thing about being liked is that there is a difference between being truly liked and just giving off the appearance of being liked. Maybe it looks like Sarah has it all. She always has a circle of friends around her and she never looks lonely. But that doesn't mean that she isn't lonely. I think that sometimes we forget that. We let all of these illusions get to us. While you are sitting there, complaining about how no one likes you, maybe, just maybe, Sarah is doing the same thing. The truth is that those numbers of social media aren't true. Sarah doesn't have 1,000 friends, she might not even know half of those people that follow her. 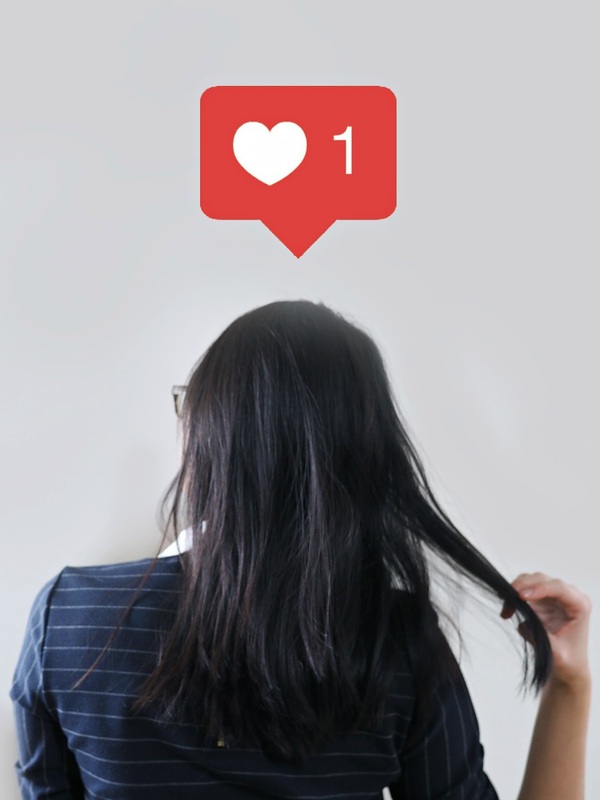 It's not that she's more liked than you are, maybe her pictures on Instagram get more likes, but that doesn't equate to the amount of love she receives from others. When you're in high school, even when you're not, it seems like the end of the world if you don't have as many friends as the next person and it seems like no matter how hard you try, no one likes you. Maybe you have a few friends, but sometimes it feels like you have to push more to keep the friendship alive, like you have to be "cooler" in order to be liked. And I'm guilty of that. I'll do something pathetic like dumb myself down in order to fit in, in order to be liked, because I'm scared of looking too smart, too nerdy. Maybe I'll pretend to like a certain musical artist even though I've only listened to a few songs. Maybe I'll go out to a party even though the last thing I want is to leave the house because I want to make sure that I'm there, seen with friends. There's this constant need to be liked, to be accepted. Like it is with social media, being liked has turned into a glamour factor. Having a ring of friends surrounding you is almost like having diamond ring, an accessory to flaunt around and make everyone jealous. And although we always say that we're not jealous, the truth is, that we are. Maybe it's the jealousy clouding my mind, but upon seeing this glamour factor, I just can't seem to realize that the diamond ring is a fake, merely cubic zirconia. The illusion of the diamond ring of being liked is similar to the Wizard of Oz. Everyone talks about how amazing and how powerful the Wizard of Oz is and in comparison, everyone else feels small, insignificant, unloved. But when you pull away the curtain, there's a lot less than what everyone thought there was. In high school, being liked is an accessory. It's not just about having friends, but it's also about making sure that people know that you have friends. But does it really matter if anyone knows? It's like that saying, "If a tree falls in the forest and no one is around to hear it, then did it really fall?" We're so caught up in the idea of making sure people know that we are loved that we forget about what friendship really is. Related: Why Are We Constantly Seeking Validation? If you Didn't Post it On Social Media, then Did it Really Happen? Have you ever heard that question, "Would you rather have one good friend or one hundred that secretly hate you?" The answer from almost everyone is that they would rather have one good friend. So why don't we stay true to our word? Why are we such hypocrites to what we say? It seems like I'm always trying to find a way to have one hundred friends, even though my answer is one. It's like what they say for anything, "Quality, not quantity." While that is true for a lot of sectors of life, work, education, consumer goods, it is also true in terms of friends. It's soooo tempting to fill up your life with filler friends, people that you don't actually like that much but just want to have in order to feel safe, to feel loved, it's not always about the number of friends. It feels safe to be surrounded by friends. Although maybe false, it's like a safety net. It's safety in numbers. But it's also kind of pathetic. I did that all the time, I still do. I find safety knowing that I look like I have friends. I look like I am loved. But the truth is, it's so pathetic to have to do that. Do I really need to create a false impression on others? I have friends. I am liked. And I know that. So why is that not enough for me? It's so pathetic that I need to make people believe that I'm liked. I know that I'm liked and that should be enough. I roll my eyes at other people that do that and look down on them, but in reality, I'm no different. I think that all it takes is realizing that to understand how sad it is to do those things, to surround yourself with that safety net. The truth is, it's not that no one likes you, but it's that you are too busy trying to be liked by people that don't matter instead of appreciating what and who you already have. Stop keeping your head down, falling down the slippery slope of "No one likes me". If you open your eyes, you will see that you are loved. Maybe you don't have a hundred friends, maybe you don't even have ten. But just because you have a smaller quantity of friends, doesn't mean that you're not liked, that you're not loved. You can fill your life with half-meaningful friendships, ones that don't really care and you'll still feel like no one likes you. The solution isn't making more friends or gaining more followers. The solution is right in front of your eyes. You don't need a solution because it's not even a problem. The only thing you have to do is start seeing that. Because, you know what? Your diamond ring is real. You don't need to hide behind any curtain to be powerful.